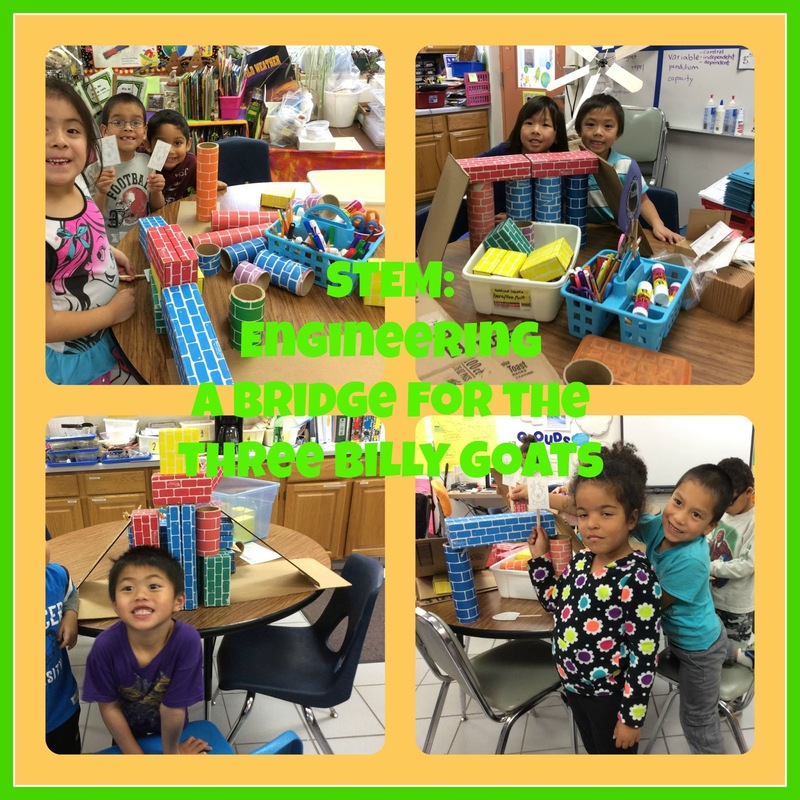 My dear science teacher friends, I tried out our Three Billy Goats Gruff lesson last week. I read one of the versions of the Three Billy Goats Gruff. I stressed our power words OVER, UNDER, AROUND, NEXT TO...I then had the blocks, plates, cardboard, whatever you got people, to have them build a bridge as a team. I put the three billys, I called them, to work. I made groups of three, slick stuff. 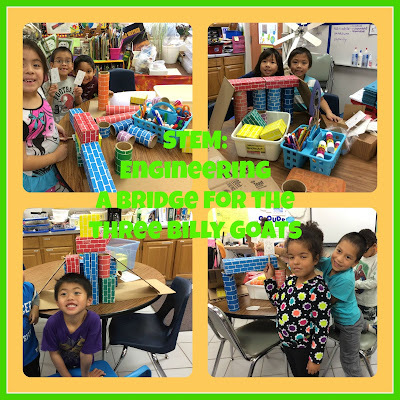 Then they worked together to build that bridge. It took them awhile to work together, but I had a goat puppet that I used to see if I could get up the bridge, across the bridge, over the bridge, and then down the bridge. All of the little billys forgot to build a slope or ramp, so I gave them each a car to try it themselves. They started to figure out that they needed something to help them get up, over, down. By the end of our time we had all of our billys able to make it safe across the bridge to greener pastures. Next week, the word slope and our next lesson. Also, push and pull...working on building the perfect playground equipment for a playground for our bears from last week. Push and pull...stay tuned. Up, Over, Down. Up, Over, Down. Let's get the Billys to the other side of town.